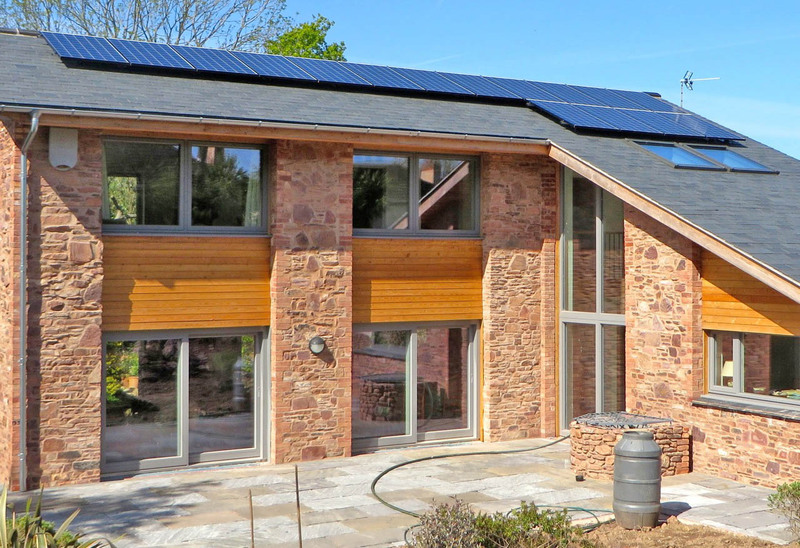 There are a number of inspiring homes in the Wiveliscombe area with great energy saving features. Below are details of a few. This is page is under development with further information to be added shortly, including houses with retrofitted energy saving measures. Please email if we can include your home. New build detached bungalow with condensing gas boiler (Worcester Greenstar), wood stove (Stovax), underfloor heating, ventilation with heat recovery (Polypipe), airtight construction, insulated floor, internal walls and roof, and LED lighting. This home also has solar water heating and rain water harvesting. The architects were Orme Ltd. The owners wanted an economical future proofed home and have found the most effective energy saving measures to be the insulation and airtight construction, which will last the life of the building. 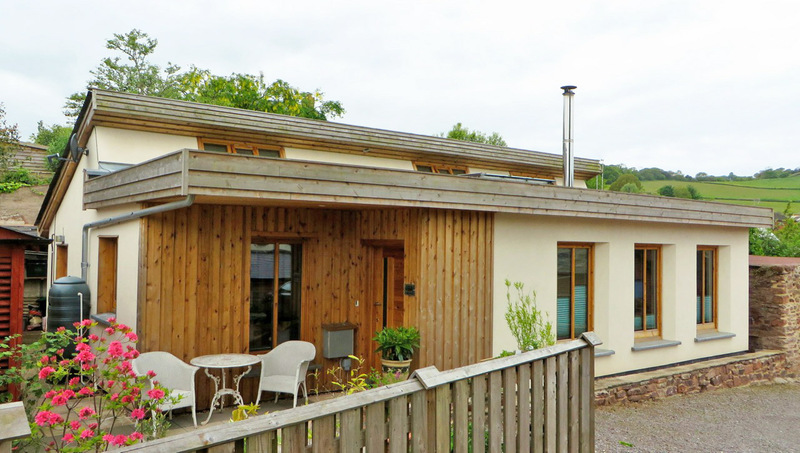 Near Passivhaus standard home, beautifully designed with exceptional airtightness and thermal performance. Includes underfloor heating, high levels of insulation, triple glazing and mechanical ventilation with heat recovery. Read more – includes photos and suppliers. Extons Barn is a 200 year old corn barn which was first converted in 1985 – before sustainability became such an urgent issue. The owners moved to the property in 2002 and energy consumption and use have been prime considerations. The house faces due South so is ideally suited to solar developments. Wall insulation was not recommended at the time as the walls are some 18” deep. 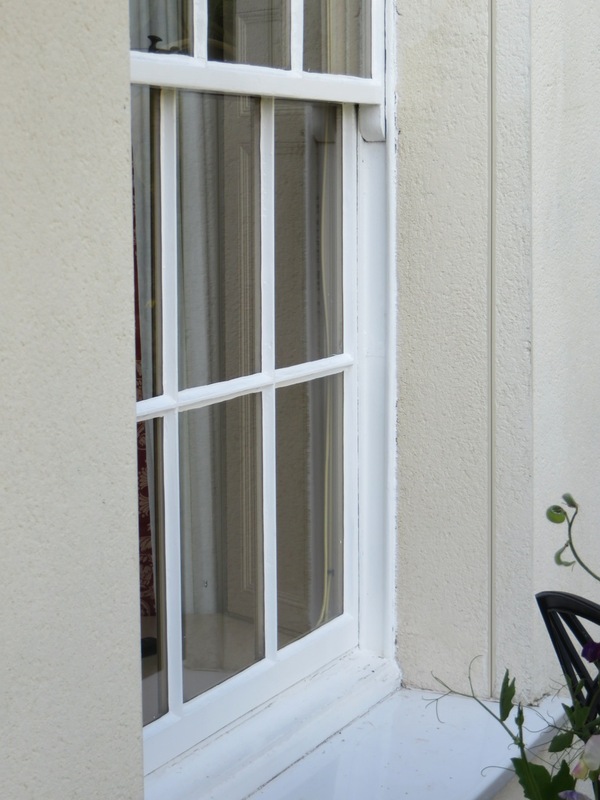 In 2005, double glazing was installed. In 2006, loft insulation (fibreglass) was relaid in the roof, increasing the depth from about one inch to ten inches, which made a difference. In 2008, a new studio was built adjacent to the house. This work was coordinated with the installation of a solar water heating panel (estimated 2,265 kw output per annum) and a thermal store (capacity 300 litres). The studio (8 x 5m) was sustainably built with walls of Ziegel bricks (lightweight terracotta blocks with a honeycombe centre giving a high level of insulation) and lime rendered. Underfloor heating was laid with concrete screed and connected by underground pipes to the thermal store in the adjacent house. Sheep’s wool roof insulation and locally made wood double glazed windows were installed. Later in 2008, a Charnwood wood boiler (7 kw to water and 2.5 kw to room) was installed to feed the thermal store so hot water could be produced on site all the year round. In 2011, 15 solar PV panels (4 kw) were installed on the studio roof. Although they were more expensive at the time than they are now, the feed in tariff was also higher, and the owners break even overall on electricity. Part detached and part terrace house from about 1750. A number of energy efficiency measures were installed in 2012 including loft, external wall and underfloor insulation, draught-proofing and some double glazing. Low energy appliances are used and low energy lighting is now being replaced with even lower energy LEDs. The owners wished to make the house more comfortable and have found their gas bills have reduced by about a third. The external wall insulation has been the most effective measure and underfloor insulation the least effective. The external wall insulation cost about £16,000, with about half this covered from grants, including from the local authority. The following are links to case studies on supplier websites. See our lists for other installers. Wivey Action on Climate does not recommend or endorse companies listed. We advise checking their suitability and obtaining quotes from at least 2-3 suppliers. The following case studies are from the SuperHomes website, which showcases the low carbon refurbishment of old houses. 1960s detached house, Bridgwater - includes: cavity and internal wall insulation, floor insulation with underfloor heating, air source heat pump and heat store. 17th century farm house, Cornwall - includes: biomass boiler, cavity wall insulation, solar PV and thermal panels. Pre 1800 detached cottage, Cornwall - includes: biomass boiler, cavity wall insulation, solar PV and thermal panels. Semi-detached Victorian house, Bristol with condensing boiler, wood stove, insulated floor and internal walls, mechanical ventilation heat recovery, and solar water heating. Late Victorian terrace house, Bath with condensing boiler, triple glazing, insulated floor, internal walls and roof, and solar water heating. 1930s Cottages, Buckingham with condensing boiler, wood stove, insulated floor, ceilings and loft, and solar PV panels and water heating. Semi-detached house, Oxford with condensing boiler, wood stove, underfloor heating, insulated floor, cavity walls and loft, solar water heating.